The United Arab Emirates, the second force in the Saudi-led Arab Coalition against the Houthis, sent military troops to Socotra Island in the Indian Ocean on April 30, 2018 without permission from the internationally-recognized government. The troops - over 300 soldiers, armored personnel carriers and tanks – took control of the island’s port and airport. UAE also deployed military forces to besiege a naval brigade stationed on the island, and prevented Yemeni officials from entering the airport to receive a Saudi delegation that arrived in the island to resolve the dispute between UAE and the government. This event launched a more difficult phase of relations within the Arab Coalition. The dispute is the latest in a series of disputes between the internationally-recognized authority of President Abdrabbo Mansour Hadi and Abu Dhabi since the first quarter of 2016. The most prominent of these differences was in January 2018 when the National Army was fighting against paramilitary militias financed and trained by the UAE in Aden (the country's interim capital), the matter which reflected relations within the coalition and made it more fragile. The Socotra Island has an ecological nature that is uncommon and the strangest in the world. Two thirds of creatures and trees on the island are not found anywhere else on the planet. They were added to the World Heritage List in 2008 []. The island enjoys a strategic location that tempts the colonial military forces. Throughout the modern history, the strategic island was able to avoid the setbacks of attempts to turn it into a military base in order to occupy the "Horn of Africa" ​​and the "Arabian Peninsula." The island is located near the strategic strait (Bab al-Mandab), which makes the military concentration on the island greatly affect the Arabian Peninsula and Horn of Africa, and threatening the global trade. The UAE began to exist on the island after two hurricanes struck the island in October 2015 in order to rescue 60,000 people. The UAE used the Red Crescent and the Sheikh Khalifa Foundation as a cover to expand and control Socotra Island and its poor people who depend upon fishing, animal husbandry and little farming. - Military presence: The UAE military commander (Abu Saif) moved from Mukalla in Hadramout to Socotra and Abu Dhabi opened a military base and registered recruits (5000) of the people of the island within the UAE forces with a salary of 500 dirhams []. This coincided at the same time with the signing of contracts between the Yemeni government sand UAE organizations for relief works. [] There was no need to recruit and build a military base there as there were no potential security or military threats, and no combat groups. Abu Dhabi Crown Prince Sheikh Mohammed bin Zayed wants to keep the island at all costs, according to the French-based Intelligence Online []. The strategic island has many elements that Abu Dhabi sees as fulfilling its ambition to be a regional power in the region, even if that provoked its Gulf neighbors and the Yemeni government. - A military base: Abu Dhabi has a military base on the island that contains 5000 Yemeni fighters [] and this military base will be "Emirati Diego Garcia" (an island that Britain and America expelled its original people and turned it into a military base located in the Indian Ocean). 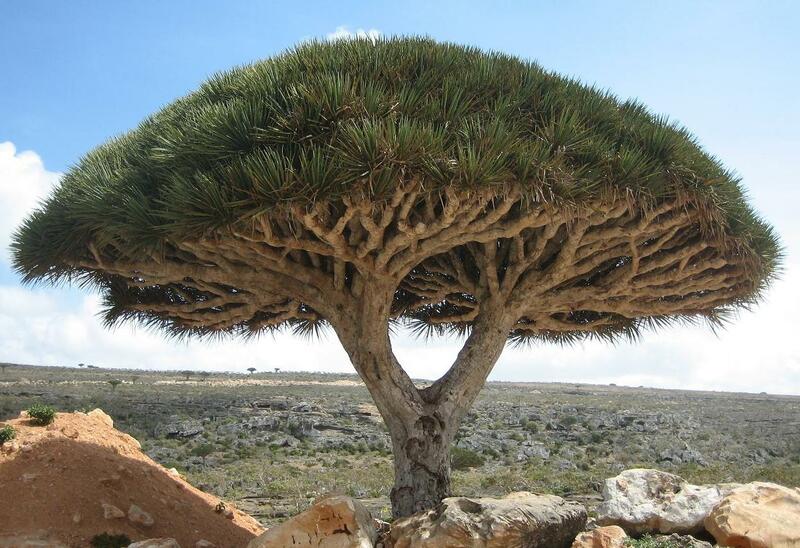 In fact, Socotra has a high strategic location - larger than Diego Garcia – as it controls the entrance to the Gulf of Aden from the Indian Ocean; it is the gateway to 23% of the world's oil and energy supplies. In April 2017, there were leaks that spoke of an agreement between Abu Dhabi Crown Prince Sheikh Mohammed bin Zayed and the Russian president on granting Russia a military base in Yemen - in Socotra in particular []- after Moscow failed to obtain a base in the Horn of Africa because the countries there refused any Russian military presence in light of the existence of military bases for the rest of the world countries. The reflection on the national security of the region: Abu Dhabi aims to be an influential regional force in the Arabian Peninsula and the Horn of Africa, and since the presence of a military base on the island of Mayyun (Perim) in the Strait of Bab Al-Mandab caused global, local and regional disturbance - which eventually resulted in stopping the establishment of a military base on the island [] and making it a training camp for Yemenis, UAE established a military base in Eritrea and another one in the Republic of Somaliland. UAE sees that it need an advanced military base, primarily affecting Somalia, Djibouti, Yemen and Oman, so UAE considers Socotra, which is close to all these countries, as part of its national security. The recent UAE military presence on the island of Socotra has provoked a wave of government and popular discontent. "The situation in Socotra after controlling the airport and the port is in fact a reflection of disagreement between the legitimacy and brothers in the UAE, and its essence is the dispute over the national sovereignty and who has the right to practice it," [] the Yemeni government said in its letter to the Security Council. Saudi Arabia tried to reach solutions, but the first attempts to send a delegation to the island in early May 2018 failed, followed with attempts to convince Abu Dhabi to withdraw from the island. According to the Hague Regulations of 1907, the presence of military forces of a state in the territory of a foreign state without any official authorization is considered an occupation of that region [] regardless of the reason for that presence or its way, as long as Abu Dhabi prevented the legitimate power from exercising its authority and influence. - The internationally- recognized government has stepped up against the UAE, saying it is a reflection of dispute between them and the Saudi-led Arab Coalition, which alarms a disintegration within the coalition in favor of the Houthis. • The United Arab Emirates has already violated Security Council resolution 2216, which emphasizes the preservation of Yemen's territorial integrity, and violated the main objective for which the Saudi-led Arab Coalition has been established. This puts UAE in one basket with Iran that is accused of violating the same resolution. This issue makes the UAE and its other entities in southern Yemen vulnerable to sanctions from the international community, which does not reflect the image that Abu Dhabi wants to deliver to the community itself as a force that fights terrorism and is abide to the international resolutions as a rising power in the region instead of Saudi Arabia "which bears the blame for tragedies of the war in Yemen", the message that Abu Dhabi wants to convey. • The Yemeni government and Saudi Arabia that supports it, have been fed up with the way the United Arab Emirates manages the liberated provinces and the construction of new forces and camps in the southern provinces that threaten the future of the Yemeni state, and they believe that this is the only opportunity to make the international community - the new White House- warn against the military presence of the UAE in Yemen. • Increasing fears of any disintegration within the Arab Coalition due to the growing crisis between Abu Dhabi and the Yemeni government since the events of January 2018[], without achieving any prominent victory against the Houthis or finding a common goal for all parties in the Arab Coalition, as the main goal is to liberate the port of Hodeidah from the Houthis; this is considered to be an attempt by UAE to escape from the main battle that the UAE has been manipulating to get concessions from Saudi Arabia. • In conjunction with the Socotra crisis, the United States withdrew from the nuclear agreement, and certainly there is no relationship between the two, but the withdrawal will prompt Saudi Arabia to accelerate the victory against the Houthis and control the ports that are believed to be smuggling outlets, as the failure of Tehran's diplomatic efforts to return Washington to the agreement with European pressures may push Iran to send more specific weapons to the Houthis to target Riyadh and threaten the American interests in the region. Saudi Arabia may solve the crisis between the Yemeni government and the UAE diplomatically. This means negotiating the economic advantages of Abu Dhabi in return for the military withdrawal and the return of the island to the sovereignty of the Yemeni state. The possibility of achieving this scenario is weak if we return to the main objectives of the UAE. 1 - Measures to make a demographic change through the naturalization of the majority of the population of Socotra and the transfer of many of them to live in the UAE and returning them to manage the island, and the transfer of some leaders and soldiers who are loyal to UAE from other southern provinces to do military and security duties in the island. 2 – Launching service and investment projects that may change the features of the island and making media circulation that the island will become tourist and economic destination for the world, another Hong Kong, in order to win the sympathy of the poor people of the southern provinces. 3- Trying to speed up the signing of military and economic contracts with US, Russian, Chinese and other European parties, which may be unofficial, as UAE is an occupying power and a reality on the island. 4 - Providing services to Saudi Arabia related to facilitating the task of liberating Hodeidah. UAE may also use chaos and assassinations against civilians or military or local leaders or government officials in the island and outside it to distract Yemenis from the goal of restoring the island. This scenario is likely as the performance of the Yemeni government is weak and its opportunities are limited. It is also likely if Saudi Arabia's position remains weak or supportive or complicit with the UAE. What makes this scenario strong is the UAE occupation of the island in May when the Socotra Island is closed for six months due to sea frenzy and hurricanes. Only big aircrafts can fly to the island while it is difficult to deliver military and food supplies across the sea. Residents and government official comments to the British website "Verdict"
 The British website "Verdict", previous source.